This is to inform all the candidates that participated in the participated in the Federal University Dutse (FUD) 2018/2019 academic session post UTME screening exercise that the management of the institution has released their results. 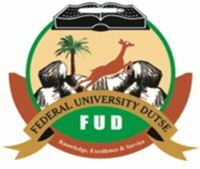 Federal University Dutse, FUD post UTME results have been uploaded online. How to Check FUD Post UTME Result Online. Go to FUD post UTME result checking portal at http://putme.fud.edu.ng/checkresult.php. Supply your registration number where required. Finally, click on ‘Check Result’ button to access your FUD post UTME score. You can use the comments section below to share your results with other prospective FUD candidates.